FORT PORTAL – Inform Tooro United will take on defending Champions Vipers at the Buhinga Grounds in Fort portal on Tuesday afternoon. Wasswa Bbosa’s side have enjoyed the last couple of months as they have not tasted defeat in any of their last 9 games in all competitions. Much of that is attributed to the fact that they are virtually unbeatable at home, taking an impressive 16 points from a possible last 18. Despite drawing 1-1 in their last game at Buhinga against Paidha Black Angles, Bbosa’s side will be confident they can cause more mayhem when Vipers visit on Tuesday. In the last month, Tooro eliminated KCCA FC from the Uganda Cup at Buhinga and also overcame Express 1-0 at the same venue, in the League. With two other giants falling there, the Venoms have every reason to worry for the worst. “They’re (Tooro United) strong at home, said Vipers coach Nam Ouma ahead of the game. “They fight and have good players but we are not going to fear them, there’s no doubt the boys must show character and pick positive results. Vipers are not in the best of form at the moment. They lost their first game of the League season last weekend, going down 3-1 at home to SC Villa. The loss to Villa meant that the Venoms have now won only two of their last 6 games in all competitions (D2 L2), form that is clearly not welcome at Kitende as per the standards set. Going into the game on Tuesday, Rahmat Ssenfuka will have a chance to start again and play the holding role in the absence of the suspended Tadeo Lwanga. Lwanga picked his sixth yellow card of the season during the defeat to Villa. And Ssenfuka is likely to play alongside either Tom Masiko or Ibrahim Tembo. Geofrey Wasswa suffered an injury during last Friday’s training hence is unavailable but could return in time to play Kiboga Young in the Uganda Cup game or the next league encounter against Bright Stars FC at St Mary’s Stadium. Yayo Lutimba was dropped following a poor display meaning U19 youngster captain Aziz Kayondo may make his Vipers debut if started at left back. Ibrahim Kiyemba completed his suspension and returns after missing the ties against Nyamityobora FC and SC Villa. Derrick Ochan may start in goal ahead of Fabien Mutombora. The former’s last game was the 3-1 win away in Njeru over Bul FC. Defender Asiku Bashir and forward Tito Okello were not named in the match day squad. This will be the 11th meeting between the two sides ever since Tooro were promoted to the top tier in 2013. In the Previous 10, Tooro have never defeated Vipers with the Venoms winning 8 of those games and drawing only two. In the first game this season, both sides draw 0-0 at the St. Mary’s stadium in Kitende. -The reverse fixture last season saw Vipers defeat Tooro 1-0 at Kavumba. Tooro ar currently on a 7 game unbeaten run in the League (W4 D3). 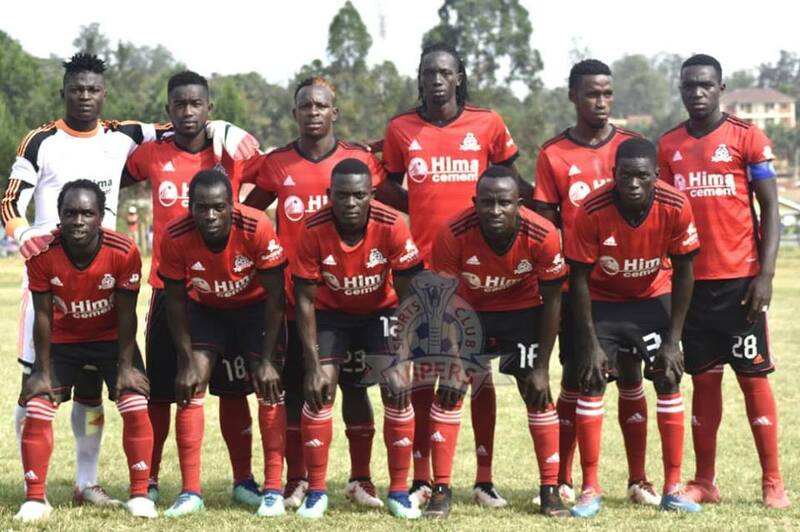 Their last defeat came at the hands of Mbarara City (1-0) back on 11th December. At home, they have not lost any of their last 8 League fixtures (W5 D3). Their last league home loss came against Kirinya JSS (2-1), back when they were still hosting games in Kavumba. For Vipers, they have lost only one of their last 35 League games (W24 D10). That loss came against Villa in the last game. Away from home, the Venoms have not lost any of their last 16 League encounters (W9 D7).